I believe that true health and happiness come when we learn to live in alignment with our inner being. In order to achieve this, we have to be willing to investigate and begin to tap into our inner wisdom. What is out of balance in our lives? Is it food, exercise, relationships, career, spirituality? Today's world is so fast-paced, it can be hard to find the time and commitment to make the changes you want to make. Having support can make all the difference. When working with clients, I have a very loving, supportive, easy going, no-nonsense, let’s deal with your stuff approach. I use energy healing techniques such as, EFT and Reiki, as well as my unique holistic health coaching to help my clients clear their energy system, release unprocessed emotions, and eliminate their limiting beliefs and blocks, so they can become the unique, healthy, happy, person they are. No matter where you are on your journey, Leah can help guide and support you on your way. She is the cheerleader on your shoulder you always wished you had! In addition to my formal training, and as the name Inner Wisdom suggests, the foundation of my nutritional, health and wellness knowledge comes from my life experiences. Living and working on our cooperative organic farm, being a doula and childbirth educator, receiving a BA in Environmental Science, teaching in a multitude of settings, raising my three kids, and traveling the world, has allowed me to accumulate a wealth of knowledge from which to draw from. 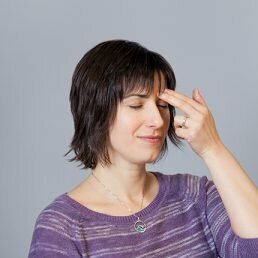 The Emotional Freedom Technique (EFT, also called Tapping) helps people create emotional stability, reduce stress and pain, and quiet their fears and inner critic to create more balance, peace and joy in their lives. 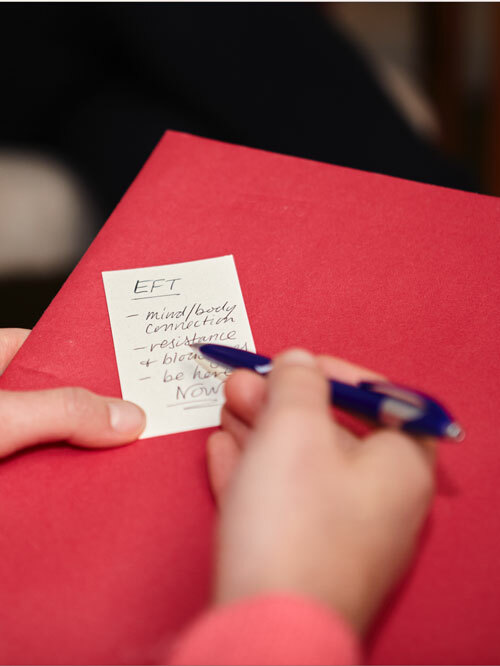 In this workshop, you will learn the basics of EFT and how to use this powerful tool to release the emotional blocks and limiting beliefs that are part of your digestive issues. The Women's Wellness Circle is a place for women to come together, share and grow as they are guided to look within. True health and happiness come when we learn to live in alignment with our inner being. Let’s take a look. What is your inner voice saying? What old beliefs and fears are holding you back from being your authentic self? What steps do you need to take to get unstuck and move towards peace and balance? This circle is a wonderful place to consciously start, or continue, your journey towards wholeness. As a Holistic Health Coach and Energy Practitioner, I work with clients to create balance in their life and in the energies of their body in relationship to traumatic events, limiting beliefs and negative emotions that may be interfering with optimal well-being. I am not a licensed health care professional and my services do not in any way replace the care from health care professionals. My services do not in any way relate to medical and/or psychological clinical treatment and I do not diagnose or treat any diseases or disorders. All information provided on this site is based on my own experience and any of your own explorations with energy work should first be discussed with your licensed healthcare practitioner.